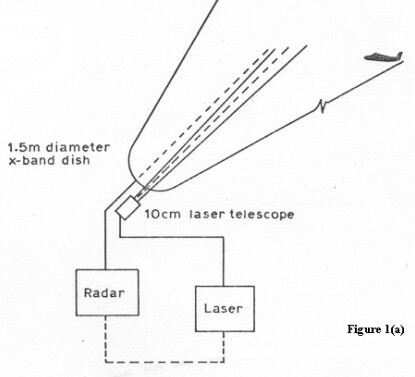 The SGF radar moves with the SLR telescope and instantaneously inhibits the laser on detection of an aircraft. The laser shots fired during laser ranging are very short in duration and so deliver very intense, high powered pulses of light that could potentially damage the human eye. It is therefore necessary to operate a safety system to prevent the laser beam from being directed toward aircraft flying over the facility. 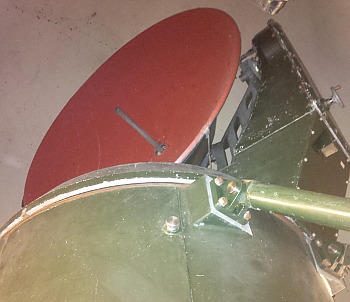 A separate second dome beside the SLR telescope dome contains the radar aircraft safety system. 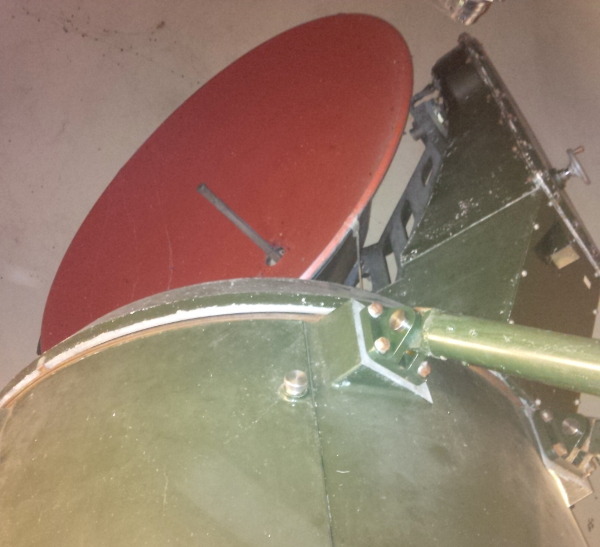 A 150cm diameter X-Band antenna dish is mounted on an alt-az mount and is independently driven to track the same path as the SLR telescope. 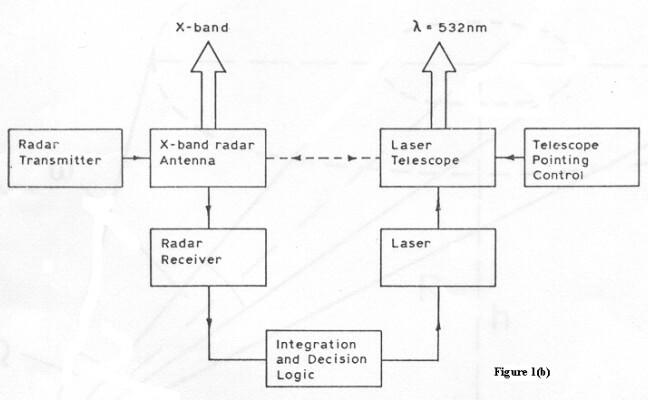 The X- band transceiver is a commercial Marine Radar Unit manufactured by Kelvin-Hughes. It produces 25 kW pulses (peak power) at a frequency of 9410 MHz (+-30 MHz), a pulse duration of 0.9microseconds and a Peak Repetition Frequency of 750 pps. The receiver is fitted with a low noise front end and has a system overall noise figure of nominally 6 dB. The radar transceiver emits pulses of microwave radiation and detects any returning reflections from objects in the beam path, out to a range of approximately 40km. When the laser is firing any aircraft that approaches the direction of the laser emissions is detected from its radar echoes and a signal is generated to inhibit the laser firing by a hardware block in the laser bed. This is illustrated in Figure 1(a) with a block diagram of the system being shown in Figure 1(b). An electronic system designed in-house processes the pulses from the radar detector and decide whether the pulses represent the detection of an aircraft or simply noise or a false alarm. The correct operation and accurate pointing of the radar is checked before each SLR observing session and then every 8 hrs.